The Indigenous rights history we've never been taught. 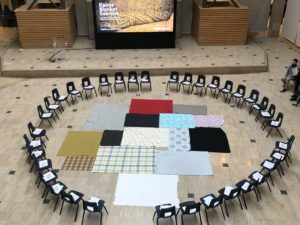 The Blanket Exercise itself takes about an hour and should always be followed by a talking circle which often requires at least another hour. With youth, ninety minutes for both the Blanket Exercise and debrief is sometimes feasible. Please note, we require that people undergo facilitator training before accessing the scripts. In addition, if you are non-Indigenous, please ensure you are working in partnership with Indigenous facilitators and Elders when using this teaching tool. As demand for KAIROS’ most popular teaching tool continues to grow, we are expanding our capacity to deliver the exercise in a good and safe way that ensures facilitators are well-trained and supported, Elders are properly compensated, and training is standardized. 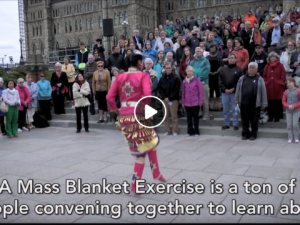 As part of this expansion initiative, we are implementing changes to the KAIROS Blanket Exercise website.